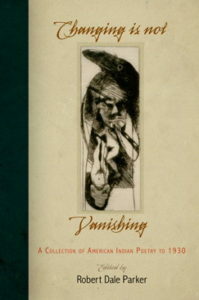 Now available: Changing Is Not Vanishing: A Collection of American Indian Poetry to 1930, the larger book that spun into two books because Jane Johnston Schoolcraft was so fascinating that she deserved her own book. •The Academy of American Poets now has a web page for Jane Johnston Schoolcraft. •Must reading: see this wonderful blog post from poet Melissa Range on Teaching Jane Johnston Schoolcraft. Great ideas for teaching Schoolcraft—and much more. •For a panel on women’s manuscript poetry, organized by Sandra M. Gustafson of the University of Notre Dame, Robert Dale Parker spoke on “Critical Anticolonialism and the Collaborative Manuscripts of Jane Johnston Schoolcraft” at the C19 conference of The Society of Nineteenth-Century Americanists at Pennsylvania State University in March 2016. Martha Nell Smith of the University of Maryland spoke about Emily Dickinson’s manuscripts, and Carla S. Mulford of Penn State University spoke about the manuscripts of Annis Boudinot Stockton. 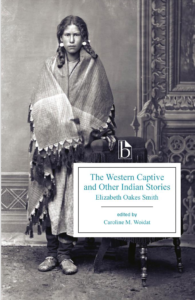 •Caroline M. Woidat‘s 2015 edition of writings by Elizabeth Oakes Smith, The Western Captive and Other Indian Stories, includes a good deal about Jane and Henry Schoolcraft. 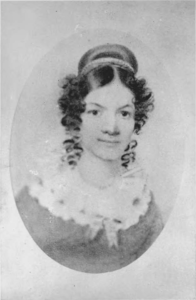 Smith knew Jane Schoolcraft a little, though Smith had a distorted understanding of Schoolcraft and her background. 2014, has a chapter on Schoolcraft. 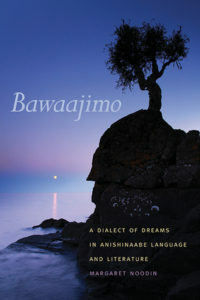 •Margaret Noodin’s Bawaajimo: A Dialect of Dreams in Anishinaabe Language and Literature, from Michigan State University Press, 2014, has a brief discussion of Schoolcraft, along with many related discussions. 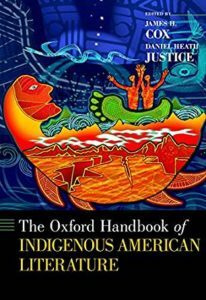 •Maureen Konkle‘s “Recovering Jane Schoolcraft’s Cultural Activism in the Nineteenth Century” appears in The Oxford Handbook of Indigenous American Literature, edited by James H. Cox and Daniel Heath Justice, Oxford University Press, 2014. •Christine R. Cavalier‘s “Jane Johnston Schoolcraft’s Sentimental Lessons: Native Literary Collaboration and Resistance” has appeared in MELUS [Multi-Ethnic Literature of the United States] 38.1 (Spring 2013). •Oxford Bibliography online for Jane Johnston Schoolcraft, prepared by Robert Dale Parker, Oxford University Press, 2012. Abbreviated version available here. 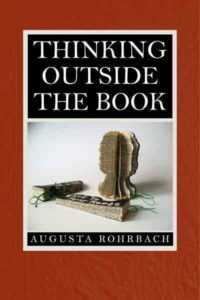 Full access available through many libraries or through individual purchase. •The Nineenth-Century American Woman Writers Study Group held a Jane Johnston Schoolcraft Conference October 1, 2011 at the American Antiquarian Society in Worcester, Massachusetts. See their website. •The Indigenous Law and Policy Center at the Michigan State University Law School held a panel on The Sound the Stars Make on January 26, 2009 with Patrick LeBeau of Michigan State University and Meg Noodin of the University of Michigan responding to a presentation by Robert Parker. Thank you to Patrick and Meg and to Matthew Fletcher and all the other people at the Center. •Jane Johnston Schoolcraft was inducted into the Michigan Women’s Hall of Fame in October, 2008. •The Sound the Stars Make is now available in paperback. •The Sound the Stars Make has been selected as a Michigan Notable Book for 2008. •Celebrating the writings of Jane Johnston Schoolcraft: On Aug 11-12, 2007, the Bay Mills Indian Community and the Chippewa County Historical Society in Sault Ste. Marie held a celebration of Jane Johnston Schoolcraft and her writing. Wanda Perron and Paula Carrick of the Bay Mills History Department organized a trip to Gros Cap, recreating the trip described in The Sound the Stars Make (pp. 22-24), complete with a traditional foods picnic, followed by a discuss ion at the Bay Mills Library. On Aug 11, the CCHS also held its annual benefit, produced by Susan DeCourcy, Peter DeCourcy, and Sharen McLaren, a fictional reenactment of the engagement dinner of Jane Johnston Schoolcraft and Henry Rowe Schoolcraft in 1823, with historical impersonators. Susan Askwith of the CCHS organized a terrific program at the Johnston and Schoolcraft houses for the next day, with music and readings from Jane Schoolcraft’s writings. Many thanks to all the organizers and participants for their imaginative work in putting these events together. •Schoolcraft on the radio: Listen to Celeste Quinn of WILL Public Radio (Urbana, Illinois) or Peter Payette of Interlochen Public Radio (Michigan) interviewing Robert Parker about Schoolcraft and The Sound the Stars Make Rushing Through the Sky. •The University of Illinois has issued a press release about The Sound the Stars Make Rushing Through the Sky, and the Chicago Reader says that it might turn out to be a “Midwestern blockbuster.” For still more coverage, see the Daily Illini and this magazine from the University of Illinois College of Liberal Arts and Sciences. 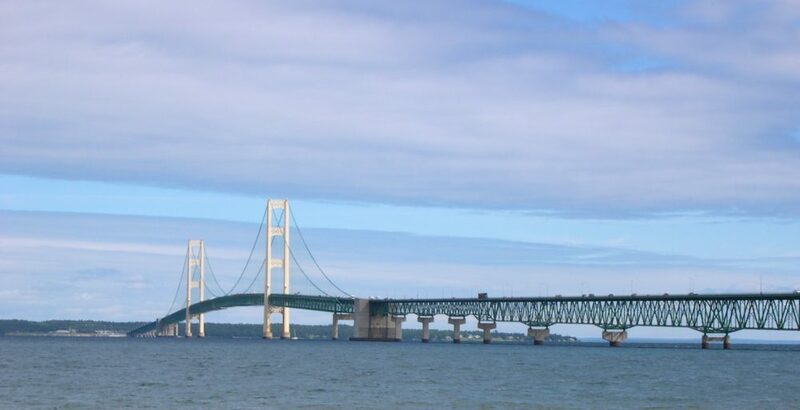 •At the 2007 Native American Literature Symposium, graciously hosted by the Saginaw Chippewa Nation of Michigan, a panel focused on Jane Johnston Schoolcraft’s writings. Thanks go to the conference organizers for their imagination and hard work, to Heid E. Erdrich, Jill Doerfler, and John D. Nichols for the terrific papers they presented, and to the overflow audience for their inspiring enthusiasm, questions, and comments. This panel signals a growing interest in Schoolcraft and other early American Indian writers, including early women writers.